Franco Fazzuoli was born in Italy in the city of Florence in 1942. From a long line of Tuscan epicureans and landowners, Franco inherited a love for food and entertaining. He nurtured his first known passion in the picturesque place of his youth. Like many chefs and restauranteurs, Franco's start in the restaurant world came as a job washing dishes. In his late teens, Franco left Florence to serve in the Italian Army as a paratrooper. He also cooked for his fellow officers, friends, and family during his leisure time. 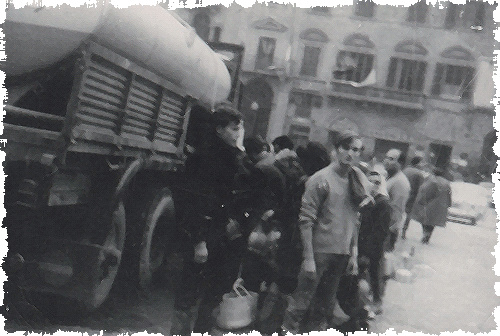 In 1966, Franco rejoined civilian life and co-founded a Trattoria in Florence. That restaurant was destroyed in a massive flood that affected the entire town. Even though his restaurant was destroyed, Franco stayed in Florence helping the "mud Angels" recover the art that was ruined by the flood. At the age of 25, Franco left Italy for America to pursue his own adventure. In New York City, he worked as a dishwasher, busboy, and in the pantry. He also worked as a cook at night and a manager at the Carrano Bouitque during the day. Saving money for eight years, Franco founded his next restaurant: II Ponte Vechio which opened in 1975. It was a throwback to a neighborhood Italian restaurant like those of the forties and fifties. The food was inexpensive and reminiscent of his Tuscan roots. After six years, Franco grew out of this small, successful, authentic Italian restaurant. Next, Franco opened a second restaurant called Zinno in Greenwich Village. New York Magazine soon declared, "no matter what the kitchen does with pasta, it's splendid." But, Franco's third restaurant: Cent'Anni (meaning one hundred years) was the restaurant that brought the young chef national acclaim. In 1987, franco once again uprooted himself. He moved from the streets of New York to the Arizona desert. Franco met a young chef at a barbecue whose name was Steven Martin. This was the start of a long and successful relationship. Steve had just returned from New York where he had been working at a restaurant named Peteluma. For the next three years, Franco and Steve both worked the line together at the new Franco's Trattoria in Scottsdale located at Hayden Rd. and Mountain View. As happened in New York, his great popularity outgrew this location. In 1995, he and Steve sold that restaurant and opened at a larger site nearby at Hayden Rd. and Via de Ventura. 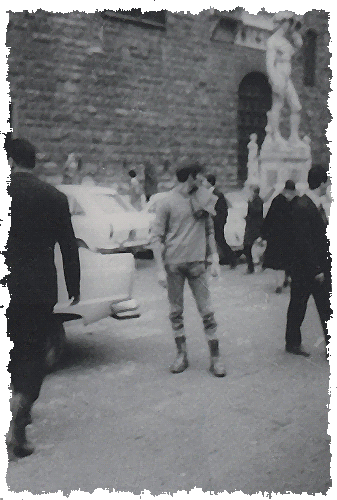 Every summer, Steve would go to Florence and stay with Franco's mother to learn her style of Tuscan food and living. He also worked one summer at Trattori Dante in Florence, Italy. In 1994, Franco caught the attention of a visiting food writer and a New York Time's story resulted with Franco's Trattoria being featured as the only Italian restaurant among Arizona's top restaurants. Franco's Trattoria was also listed in the Zagat Guide for the Southwest with a top tier rating and identified as one of the finest Italian restaurants in the West. February 2003 marked the next evolution for Franco Fazzuoli's cuisine: the opening of Franco's Italian Caffe' in the Camelback Esplanade. This restaurant sold in 2007. Franco decided to go back to New York because both of his daughters were involved with ballet in the East. His daughter, Emma, was accepted to the School of American Ballet. SAB is the school for the New York City Ballet. Franco and his family relocated to Manhattan. Franco and Steve joined one of Franco's former partners and took over a struggling restaurant in the West Vilage. 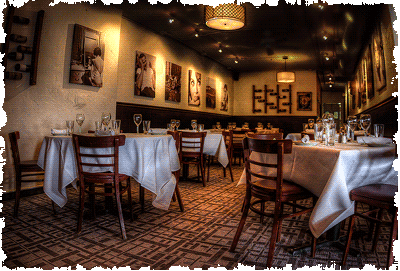 Trattoria Toscana was born and was an instant success. Emma graduated from SAB, and Leela, Franco's other daughter, wanted to come home from Pittsburg. Soon, Franco's lovely wife, Caroline, and daughters returned to their home in Scottsdale, Arizona. Franco commuted from New York for the next year and a half. He finally decided to open Franco's Italian Caffe in Scottsdale Arizona. Franco, backed by a distinguished group of local investors, wanted to open another restaurant in Scottsdale. Franco and Steve's love for Italian cuisine and Arizona have made this new opportunity a reality.